Larry Graham has the world at his fingertips. He's meeting Lois Vincent, a beautiful girl he met a week before, and couldn't be happier. But something is wrong! When he calls her, the person at the other end says he never heard of her, and even Larry's friends don't remember her. And then there are the people in the streets who seem to be watching him. What the hell is going on? In the spirit of the very best Cornell Woolrich suspense novel, N.R. 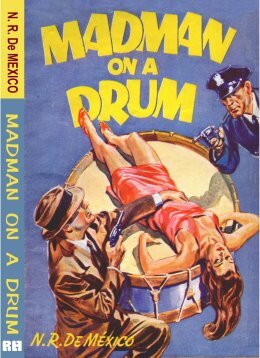 de Mexico has crafted a classic thriller that takes you through the mean streets and sleazy alleyways of the big city in search of a missing girl -- and Larry's sanity. Every word of the Cavalcade digest edition of this classic work is now available in a picture-covered paperback from Ramble House.